Won't let the bad August moon pass by without a blog entry:) Lately I've been playing tracks found in Abbey Road (voted greatest Beatles album by readers of Rolling Stone in '09). Well the wind is high and the sky is blue so I've created a new Abbey for you. Call it "derivative" digital job after using images proliferating in the net plus the need to feed an inspired tribute to this legendary album. FYI The Beatles guys were part of my high school days in Manila since the early 60's, the magical days of my youth. 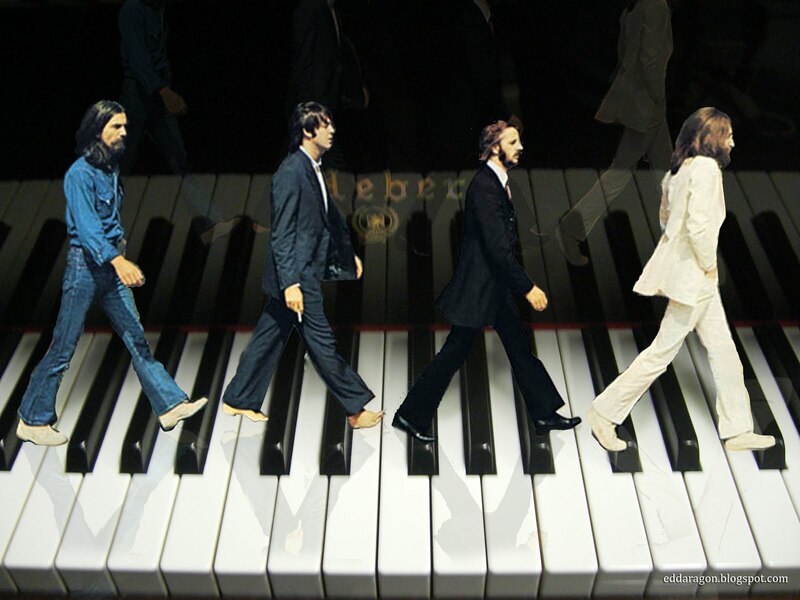 Take the piano keyboard off their feet and Abbey Road won't be the same. The piano rendition in You Never Give Me Your Money and the Moog synthesizer in Because are hauntingly sweet. Was it Paul on the piano? 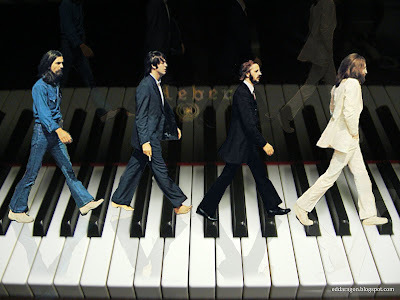 ..Abbey Road is the eleventh studio album released by the English rock band The Beatles and their last recorded. ..widely regarded as one of The Beatles' most tightly constructed albums, although the band was barely operating as a functioning unit at the time. Also here's an Abbey medley, Abbey nice day mate!